Hainan Airlines is once again having a sale on their Toronto to Beijing, China (PEK) flights, this time for $755 CAD roundtrip incl taxes. 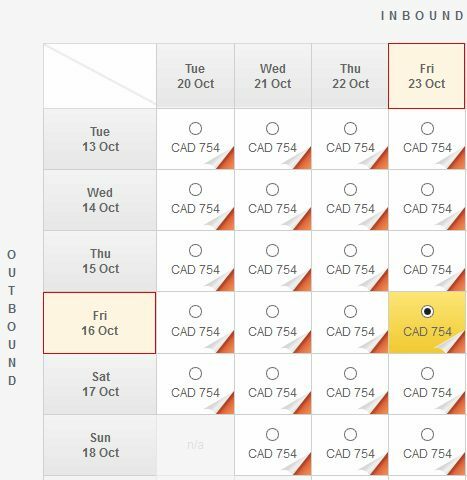 You may recall that earlier in the summer, they offered up some of their September/October 2015 flights for $782 CAD. This time, there are far more date combinations available, and the price is even a little lower. You can depart any time between September 1 and December 10, 2015 - and need to return sometime between September 4, 2015 and March 10, 2016. 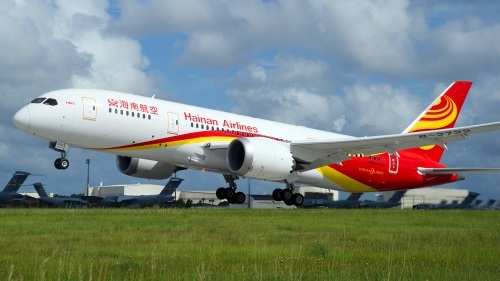 Hainan is one of the world's highest rated airlines. They fly a Boeing 787 Dreamliner on this route. Their flights between Toronto and Beijing are non-stop. ^^ you need to search from this page directly, this price is not showing up on the usual search engines, or from the search engine on the front page of the Hainan Airlines website. When you get there, you'll need to scroll down to the bottom of the page to find the search box. You'll know you're using the right search box if the search button says 'Enjoy The Deal'. Click that button after you've entered your dates. 2. Once you've found the search box at the bottom of the page, enter 'Beijing (PEK)' as your destination. Use a departure date between September 1, 20215 and December 10, 2015. This price is only available for today, Thursday August 13, 2015 - as part of a special promotion. 2 Responses to "Toronto to Beijing, China - $755 CAD roundtrip incl. taxes | 5 star airline, 787 dreamliner, non-stop flights"
Its $200 more than HongKong ($546). Any deals for YYZ round trip to PVG? It's $200 more than Hong Kong *was* - for a few hours, back on August 5th. Currently the cheapest Toronto - Hong Kong flights are in the mid $800s.